Picture above depicts the site for the Building Project in Barryville, NY. 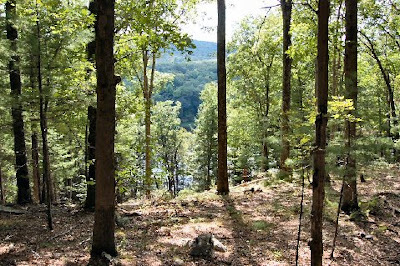 The site overlooks the Delaware River - a River that is at the center of a controversy over the detrimental impacts of Fracking For Natural Gas in the region. This pristine region is a source of drinking water for major urban populations living in New York and Philadelphia. Hi Everyone. So, in the past year I have written about everything from continued devastation caused by the BP Oil Spill in the Gulf and the astonishing film about it, "The Big Fix", to reporting on the brighter side, Green Roofs in Toronto. This post is about something closer to home. Literally. 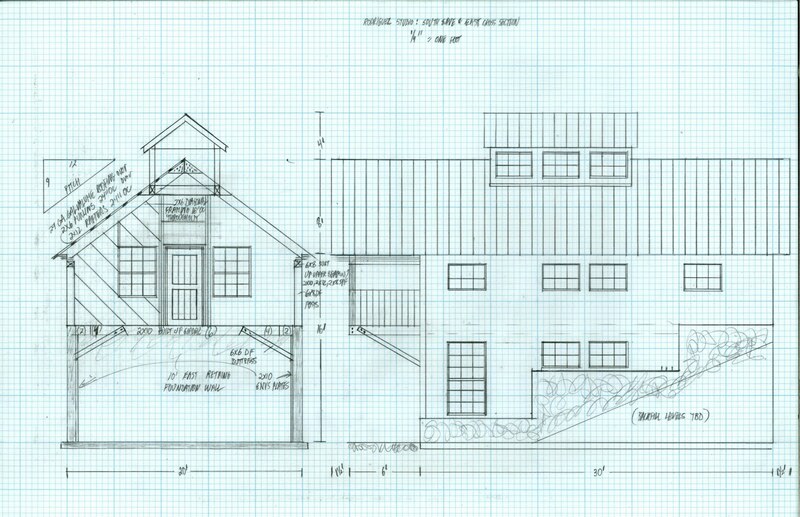 It's about a super efficient eco-loft barn we are helping clients build on the Delaware River in Barryville, N.Y. 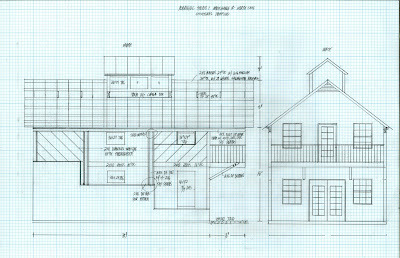 This project came to us via the awesome NYC-based Architect, Drew Lang, who introduced us to the amazing clients who wanted advice on how to find a builder and project manager/green building consultant for a small getaway space that could be used as a creative escape from their hectic lives in NYC. 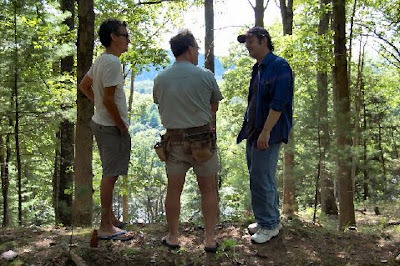 One of the client/owners Jorge, George Abetti and myself overlooking the house site. "Even though we have a wonderful design and building system, what we do is only as good as the character and work quality of those who do it. What we are is who we are...and we are truly blessed with extraordinary people who devote their hearts to the work we do...something which no amount of pay or praise can compel in that this can only come from within...as an act of grace." 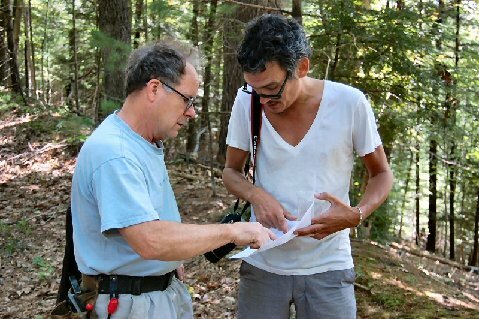 George discussing with Jorge the best place to situate the structure considering the slope of the land, access point and views of the river. George sitting down to sketch out his concept for the structure on site after discussing site issues and desires of the client. 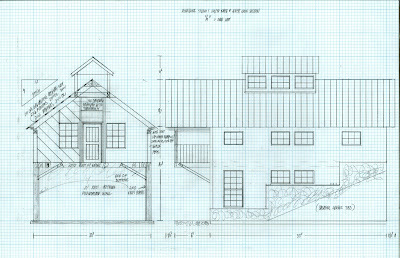 One of the best things about the way George works, besides his "be a good steward" advocacy, which by the way, echoes the philosophical - advocacy aspects of the wonderful Living Building Challenge - is Geobarn's innovative diagonal framing technique that George invented. This framing technique uses less wood than conventional wood framing while being stronger engineering wise. It's timber frame style so there is no need for any interior walls or support structure leaving how you design the interior space incredibly open, adaptable and flexible for future needs or space planning. The lumber used is also sourced regionally (Vermont) and comes from sustainably managed forests. 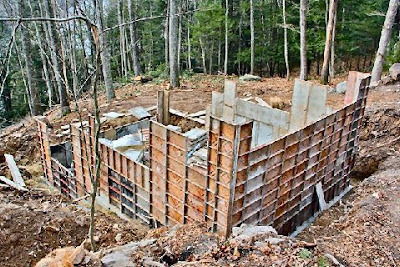 The structure is 600 square feet per level and is built into a small hill. 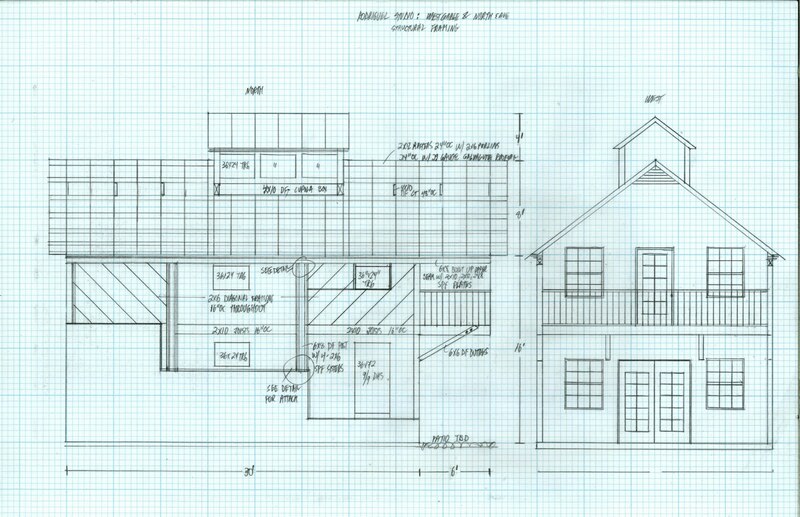 The front entry is on the second level (see picture on left to see view of house from front). Another green aspect to this project is the installation of an advanced treatment septic system by Eljen. The system uses much less ground space than conventional septic systems and is ideal for sites where there is a limited amount of space for septic fields. The plastic parts to the system are made with recycled materials. The septic effluent, upon leaving the septic tank, is filtered through a special Bio-Matt™ geotextile (fabric). According to Eljen: "Open air channels within the GSF Module support aerobic bacterial growth on the Module's geotextile fabric interface, surpassing the surface area required for traditional absorption systems." After passing through the Bio-Matt, the effluent moves through a layer of sand. So, when the effluent hits the ground soil, it is already pre-filtered." 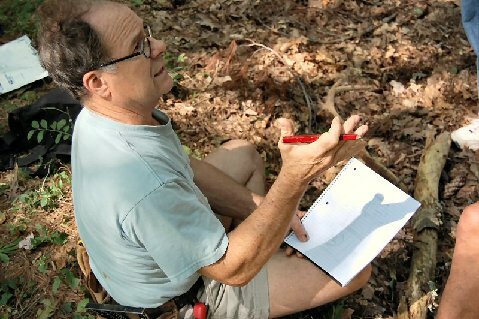 Tom, the Engineer, measuring the site and determining location for the septic system and well for the site plan. While this structure is not built under any particular green building program, it is interesting to note that the Passive House BKLYN uses mini split HVAC. This is a real indication that it is a good option if you want to head toward Zero Energy Design for a living structure. The electric scheme for the house is being analyzed to strategize how to reduce power consumption by immediately installing super efficient lighting including LEDs and solar powered lighting requiring no power draw at all. Photo of the foundation work being done before the walls are poured. 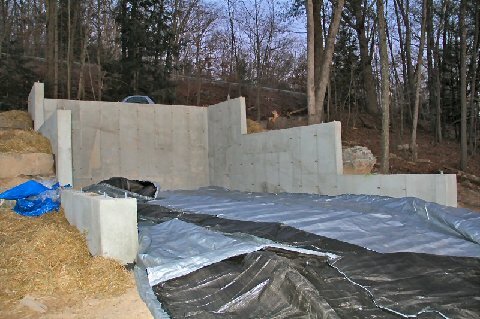 Photo of foundation from back side of house after the walls were poured. We'll post more info when the framing and construction of this project starts up again in Spring. We have a great design-build team ready to help you build your green dream or renovate and retrofit existing structures to be more energy efficient, healthy and resilient. Importantly, we can assist you in sorting out the many renewable energy options that can help you head towards a Zero Net Energy life. 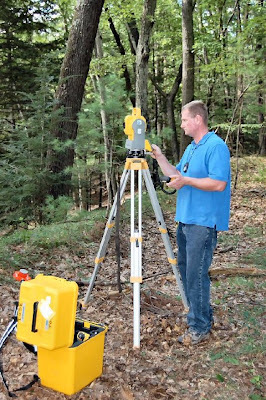 Should you need assistance in identifying and analyzing land on which to build, my New York State Licensed Real Estate Brokerage, Paul E McGinniss, can provide this service.